1.20.2 Follow Us on Facebook! We are back with our new post, which includes the list of universities that accept GRE scores between 290 and 300.First of all, let me sincerely apologize to any readers who sent me an email and did not receive a reply—and thank you to everyone who reached out. I am providing this list only as a reference. Your GRE score is only one part of the entire process. Often times, it is not your score which is the deciding factor in where you go to school, but rather your overall profile. Please keep that in mind as you read. If you have yet to take the GRE and are preparing, then see our guide for how to score 320+ in GRE. 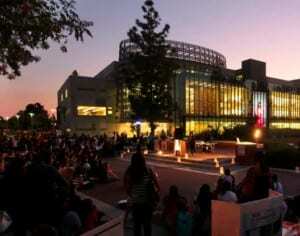 California State University Eastbay is a decent college with reasonable fees. People with Computer Science backgrounds should go for this college if they have scored higher than 290. Here we have another good university near the most amazing city of Los Angeles. CS students will find that California is a land of promise for them. So as long as you have a decent score, do not fail to apply to this college. Re-taking GRE? Check out these GRE prep books which will help you to score high on your exam. We are staying in California to look at another great school! Consider applying to this college if you have 295-300 on the GRE and decent scores in Undergrad. If you have 295+ and a decent GPA, you can consider this college on your safe list. This college is Best for CS and ECE. UHCL is a decent college for those with a CS or EE background. It is in Texas , where living expenses are also affordable compared to California. You can probably count on admission to UHCL if you scored 295+ in GRE. 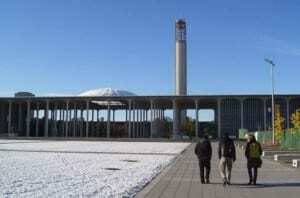 SUNY Albany is great little school in Albany, New York. With low tuition fees, it provides a strong education. Given its proximity to New York City, jobs are quite available. With a GRE score of 295+ you should give it a try. 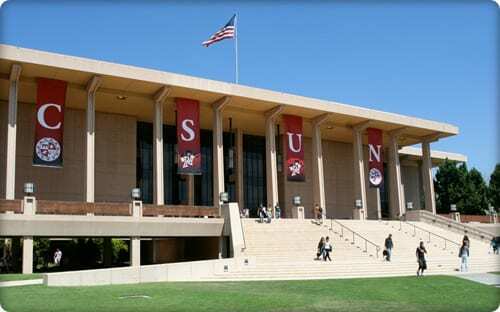 California State University, Fresno (commonly referred to as Fresno State) is one of 23 campuses within the larger California State University system. The city of Fresno is the fifth largest city in California. The university is within an hour’s drive of many mountain and lake resorts and within a three-hour drive of both Los Angeles and San Francisco. 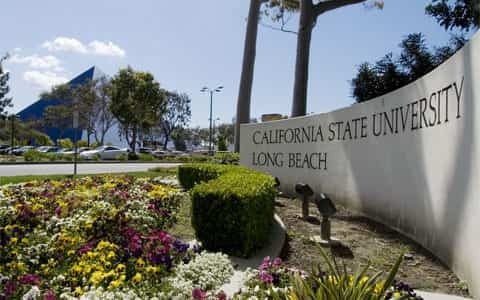 If you have decent profile with a GRE score 290+, TOEFL 79+, IELTS 6.5 and decent UG grades, you should apply to CSU, Fresno. 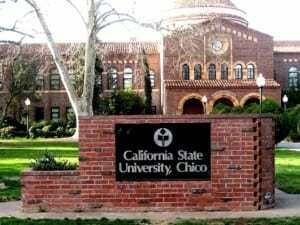 California State University, Chico (Chico State) is the second-oldest campus in the 23 campuses of the California State University system. It is a small city in California, about ninety miles north of Sacramento. If you have a decent profile with a GRE score of 290+, TOEFL 79+, IELTS 6.5 and decent undergraduate grades, you should apply to CSU, Chico. The University of Colorado Denver is a public research university in the state of Colorado. It is part of the University of Colorado system and is located about 15 miles from Boulder City. 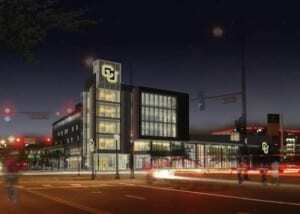 The University of Colorado Denver is the largest research institution in Colorado, earning more than $375 million in research grants every year and awarding more graduate degrees than any other institution of higher education in the state. The university has two campuses — one in downtown Denver at the Auraria Campus, and the other at the Anschutz Medical Campus located in neighboring Aurora. 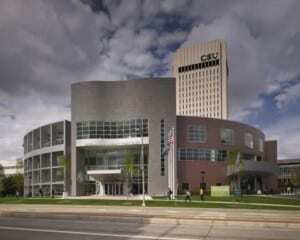 Cleveland State University (also known as Cleveland State or CSU) is a public university located in downtown Cleveland, Ohio. It also has research cooperation agreements with the nearby NASA Glenn Research Center. With $55 million in annual research and development expenditures, CSU ranks among the top 20 percent of universities in the United States for research and development, according to the National Science Foundation. If you have decent undergrad grades, you’re likely to be admitted. It also offers conditional admission to those with less confident profiles. 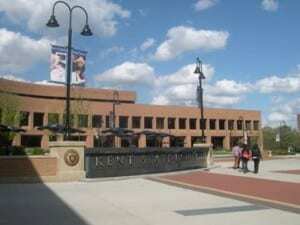 Kent State University (also known as Kent, Kent State, and KSU) is a public research university located in Kent, Ohio. The university has eight campuses around the Northeast Ohio region, but the main campus in Kent is the largest. Other campuses are located in Ashtabula, Burton, East Liverpool, Jackson Township, New Philadelphia, Salem, and Warren, Ohio. With GRE a score of 290-295 and a of TOEFL 80+, it’ll be safe to count on a GRE of 295+ and decent undergrad grades. 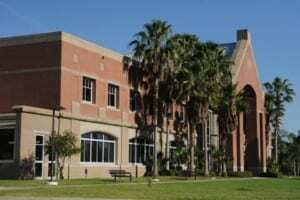 The Florida Institute of Technology (commonly referred to as Florida Tech and FIT), is a private doctoral/research university in Melbourne, Florida. The university’s primary residential campus is located near the Melbourne International Airport and the Florida Tech Research Park; it is about 50 miles (80 km) from the Kennedy Space Center and 75 miles (121 km) from Orlando. It requires 295+ GRE score, 80+ TOEFL score and strong undergrad grades. 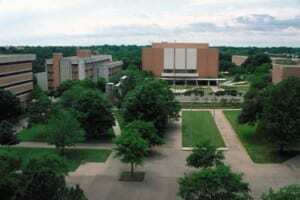 The University of Illinois at Springfield (UIS) is a public university in Springfield, Illinois. The University of Illinois—Springfield is located in the state capital, about 90 miles northeast of St. Louis. If you have the above-mentioned profile, this is a good choice for you. South Dakota State University is a public research university located in Brookings, South Dakota. It is the state’s largest and second oldest university. SDSU has a special focus on academic programs in agriculture, engineering, nursing, and pharmacy, as well as the liberal arts. Strong applications to the university should have a GRE score of 290-295. Almost all applicants who have GRE scores of 290-295 apply to this college, and with decent undergraduate grades, they can count on admission to NYIT. NYIT consistently ranks in the “top 50” among U.S. universities in the north, as compiled by U.S. News & World Report. Texas A&M University–Commerce is a public research university in Commerce, Texas. With an enrollment of approximately 12,500 students, the university is the second largest institution in the Texas A&M University System. It is Located near Dallas/Fort Worth. As FIU, this is also a safe bet with a GRE score of 295+. Indiana University – Purdue University Indianapolis (IUPUI) is the top urban campus of Indiana University and Purdue University in Indianapolis, Indiana. UPUI is one of seven campuses of Indiana University and encompasses two Purdue University schools. The campus offers over 225 degrees provided by 21 unique schools. Having spent around $275 million toward research in 2013, IUPUI is the second-largest site for research in the state. In 2013, IUPUI: Ranked 5th for “Up and Coming School” by U.S. News & World Report. 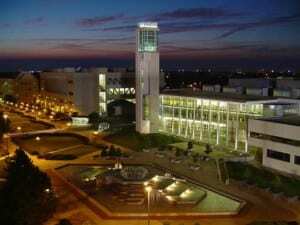 Lamar University, often referred to as Lamar or LU, is a comprehensive coeducational public research university located in the significantly-industrialized town of Beaumont, Texas. It’s a pretty a safe bet with the above profile, and it also offers conditional admission as well as scholarships to many of its students. 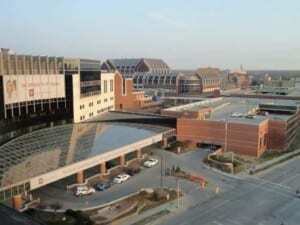 Wichita State University (WSU) is a public research university in Wichita, Kansas. It is the third largest university overseen by the Kansas Board of Regents. The main campus includes the Edwin A. Ulrich Museum of Art. Wichita boasts affordable tuition, short commutes, and great public safety, which is a difficult combination to find in large urban areas. They ranked in the top ten of Money Magazine’s Best Places to Live. Colorado State University (also referred to as Colorado State and CSU) is a public research university located in Fort Collins, in the U.S. state of Colorado. The university is the state’s land grant university and the flagship university of the Colorado State University System. It is 64.9 miles away from Denver City and 55 miles away from Boulder City. 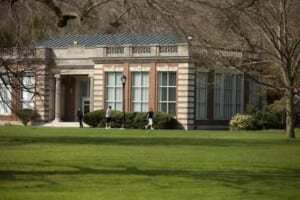 According to their website, “Fairleigh Dickinson University is a private, coeducational and nonsectarian university founded in 1942. Fairleigh Dickinson University is the first American university to own and operate an international campus and currently offers more than 100 individual degree programs to its students.” The school has four campuses, two in New Jersey (United States), and one each in Canada and in the United Kingdom. It is a decent university for GRE scores between 290-295. It requires a minimum 6 Bands in IELTS and 79 in TOEFL. It also offers Scholarship to many students. 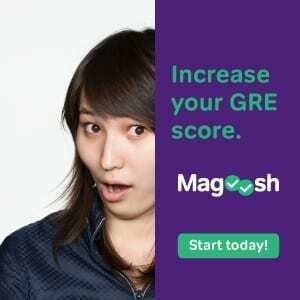 If you are planning to retake GRE, then I recommend you choose Magoosh because Magoosh guarantees that after taking their premium course you will have +5 GRE score over your previous exam. For more information check out Magoosh GRE reviews. Check out University list for Gre score 300- 310. Check out this GRE Practice test. I WANT TO SHIFT MY COURSE TO MIS OR DATA SCIENCE. PLEASE SUGGEST ME SOME COLLEGES WITH THIS PROFILE. I WANT TO SHIFT MY COURSE TO CSE OR MIS. Where are you applying? I have the same course. HI, I got an admit from UIS for MIS. Is it a good university? Will it be easy to get a job after the course? MS in computer science.Gre score-297(Q-148, V-149). TOEFL- 88, 3.5 years of experience. CGPA-8.3/10. Can u suggest moderate and safe college names? Hi. I have a GRE score of 300. Q-156 ,V-144 and AW-3. I have 77% in my bachelor’s degree. I have an IELTS score of 7. Could you suggest universities in US for MIS course. Can anyone please help me in knowing universities that I can opt out for MIS in USA? My GRE score was 294. Quants-154 and Verbal-140. 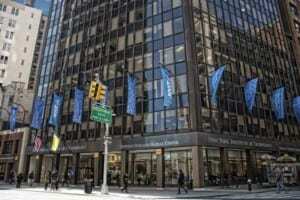 I am working right now from last one year and want to pursue further study in USA. My GRE score is 142 V + 158 Q, IELTS 6.5. 7 years work experience. Now working in Intel. Can you please suggest college list for application. which universities can I apply with GRE score 299 verbal 141 quant 158 AWA 3.0 and academic cgpa is 8.23? Thank you for the list!! I scored 295 in GRE (v-145, q-150) and TOEFL expected above 90. Done bachelor’s and master’s in CS in INDIA with aggregate 72% and GRADE O. Have 6 months of Job experience as full stack developer. What are my chances of getting admission in CSU East Bay? or which universities will you recommend? Sir i got a score of 284 (q-147,v-137) and tofel :85 which universities can i get into?? hey..did u found universities..?? i got d same..(q-147, v-137)..
what are the safe universities for my profile.??? and which score shall i send and what is evaluation weightage for analytical writing as i scored more in second attempt but over all score was less than first so Which score shall i choose to give ,?? Hi Akshay! Did you find any universities with good facilities?. I am quite in dilemma with facing the same situation.. I want to apply for fall 2017 with the above mentioned scores can you tell me a list of 5-6 colleges that suit my profile where i can get scholarship or assistantship. Hi! my score in 300 in GRE and I would like to do a master in USA. I am convent educated and having BE in Information technology. I would like do MS in project management or Advertising studies or management. Pl guide me for selecting good university. My gre score is 292. I am a dentist with 2 years of experience, planning for MHA. Please suggest good universities. Hello, my gre score is 290 verbal:134 and maths:156 which is suitable collages for computer science? Hey… I have a score of 291. Even I want to apply for MS in CS. Could you let me know the universities you applied to? I have GRE 299, Medical student. I am applying for MPH . I have not yet taken TOEFL. Can you suggest some colleges which suit best for my score. Can you suggest universities for this profile.. The University of Texas at Tyler is a great University in Tyler, Texas. With low tuition fees it provides quality education. New graduate fellowship award is available for qualified student. It is only 1.5 hour drive from Dallas. With Gre score 295+ you should give a try. How about university of central Florida for mechanical engineering having GRE score of 290-300. If I apply for UCF what is the chance I get a seat there ? i have completed BCA and PGDM (international business and marketing) from India and now i want to go for MS MIS in united states. My GRE score is 290 and i have scored 81 in toefl, Can anybody help me shortlisting the universities.? I have also almost the same profile as yours. I got 296 in gre(150quant, 146-verbal), I have done MCA with CGPA 8.07 and I am having 1.8 months of work experience as Oracle Apps DBA I want to do Ms in business analytics/Data science. Please suggest me the good colleges. Hi sir I got 293 in Gre and academic percentage is about 80%.could you suggest me best colleges for master’s in us please? My GRE Score is 294 and I’m yet to do the other exam. I’ve an U.G. scoring of 3/4 and I wish to do masters in Biomedical Engineering. Could you please suggest some universities? I had a GRE score of 300, 147 (Verbal) and 153 (quantitative) and an undergraduate GPA of 3.59/4.0 (BSc. Agriculture). I had one year working experience as a teaching assistant in University if Education, Winneba in Ghana and 4 month teaching experience in High School. I wish to do Masters in any Agriculture Science subject. Please can you suggest US schools that I could possibly get admission and scholarship? Hello sir. I have scored 290+ in GRE and 75+ in Toefl. please iam totally tensed and confused….. I got 292 in GRE (Verbal-141; Quant-151). I am looking for M.S in Pharmaceutical science or biomedical science, and if possible (integrated MS and PhD in biomedical science). Can you suggest me some universities?. I am B.Pharm with 76.1% and with 3.5 years work experience in R&D section. I am interested in phd program. I got GRE-290, IELTS – 6, 3+ years of experience as Software Engineer, 67.41% in BTECH with 2 backlogs. Which universities will be available for me to apply for? TOEFL: yet to be taken. which university should i choose based on my profile.Please inform guys.I am kinda confuse with my low gre score. My Ielts score is 6. Gre is 295 and my academic percentage is 78% with 0 backlogs.Please can u suggest me some universities which best suits my profile. please suggest some university where I could apply for scholarship. Can you please tell me something about university of central florida and university of south carolina which one is better in terms of jobs,part time,,location ,visa acceptance rate,course curriculum etc. What about southern Illinois university Edwardsville for computer science branch and what about tution fees and part time jobs. hey..can u help me out by suggesting out the universities where i have sure chance to get? Completion of degree-5 years due to severe medical issue for three years which resulted in backlogs and my grade drop. Hey. I am looking for universities that offer a program in Embedded Systems. 3-4 Projects in relevant field. I have 281 in Gre Ielts (expecting)6.5 please suggest me some good universities. Can u pls advice some colleges? Plz guide me I got 295 in gre, so plz suggest me good universities in mechanical. Yes, you can get for sure. Is the fee structure shown above is for one year? Or For the whole course work? Yes buddy you got it right. that’s for a yearly basis. yeah i know these all are for low profile universities. But you got numbers of backlogs. So i think you should go for low profile univerisities. Thanks for the list. How are University of Texas,San Antonia and San Diego state University in part time jobs and cost of living? San Diego always. But for fall 2015 intake,san diego state university has stated that seats are full for CS major. I’m actually looking for EE , some of the above universities don’t have EE itself could you suggest someother ones plz? Can you please tell us , how is the VISA acceptance rate for all universities you have listed here. I heard that for low ranked colleges F1 VISA often rejected. Thanks pranav for input..one more query little bit out of the list you mentioned.. How’s university of central Missouri. For cs..if poss pls guide me.